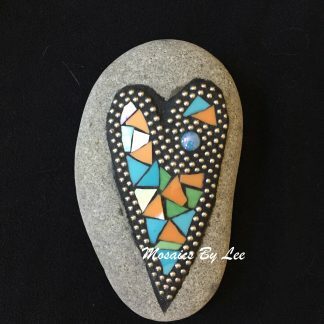 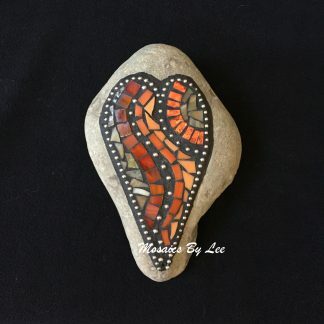 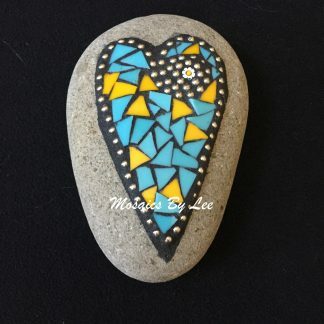 A fun and flashy mirror glass mosaic rock. 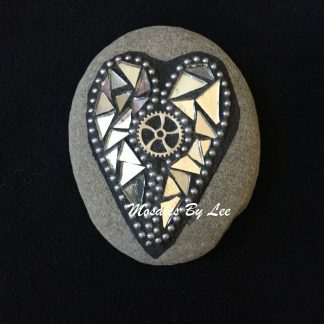 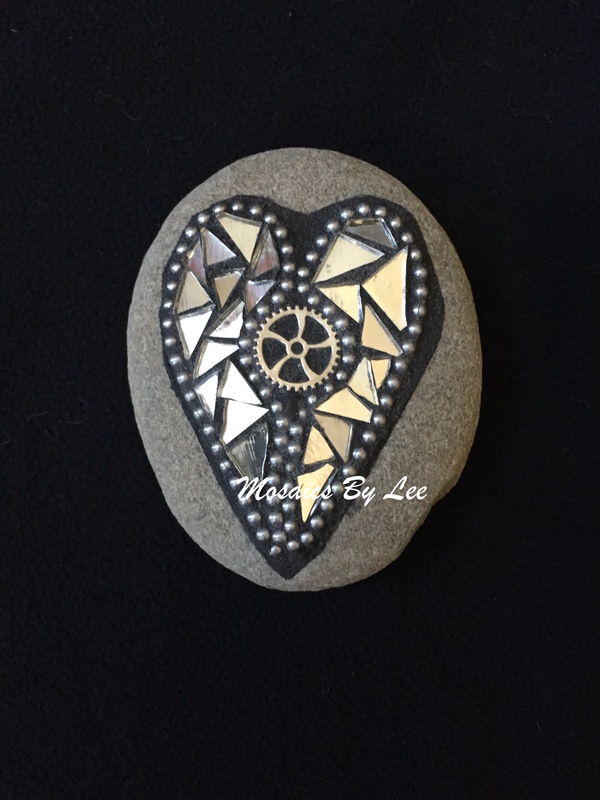 Mosaic steampunk rock with silver mirror, ball chain and gear. 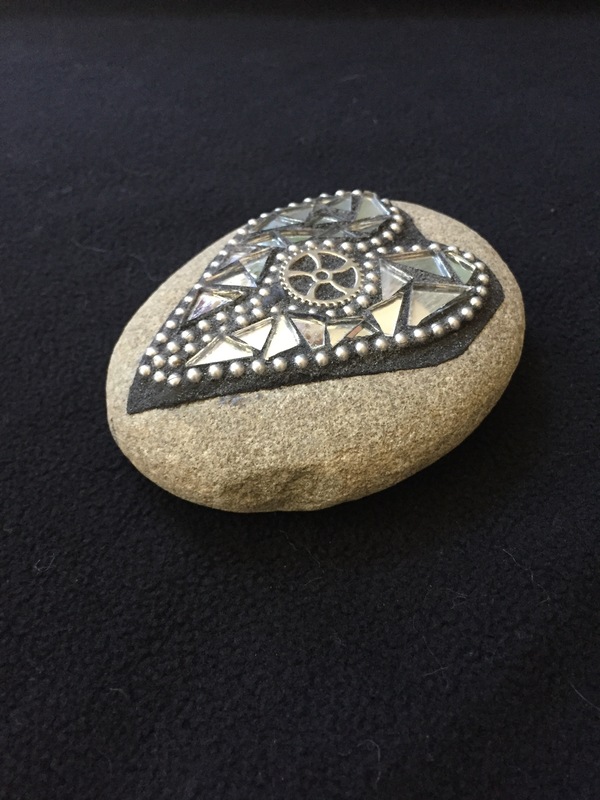 A fun and shiny addition to your garden or shelf.